Arsenal could have a busy week ahead as reports claim that Pierre-Emerick Aubameyang could join former teammate Henrikh Mkhitaryan at the Emirates. As per Sky Sports, Mkhitaryan will undergo a medical with the Gunners as he prepares to move to north London as part of the swap deal taking Alexis Sanchez to Old Trafford. While that could be a great move for Arsenal in itself as the Armenian international’s technical class and creative eye could fit perfectly with the style of play Arsene Wenger’s side adopt, there could be more good news for Arsenal fans on the way. 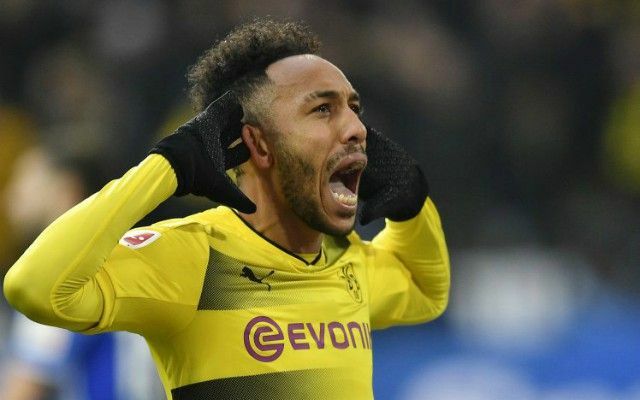 According to The Express, Aubameyang could shortly follow if the north London giants are willing to splash out a new club-record fee, with the negotiation over a transfer fee now seemingly all that is standing in the way of the prolific marksman moving to England. Sky Sport Italia journalist Fabrizio Romano, as seen in the tweet below, has claimed that Arsenal and Aubameyang have reached an agreement on a €10m-a-year contract which will run until 2021, but the Gunners will have to spend €60m if they wish to prise the Gabon international away from the Bundesliga outfit. #Aubameyang has now total agreement with Arsenal for his contract until 2021. Salary: €10M/season. That appears to ultimately be the sticking point now as it remains to be seen whether or not Arsenal are willing to spend that much on acquiring one of the most dangerous forwards in Europe. Aubameyang has scored 141 goals in 212 games for Dortmund. In the last season that he played alongside Mkhitaryan which was the 2015/16 campaign, he scored 39 goals and had 12 assists in 49 appearances, while his ex-teammate registered 23 goals, and a staggering 32 assists in 52 outings. Add the likes of Mesut Ozil and Alexandre Lacazette to the mix, and Arsenal could have an extremely potent attacking line-up. Whether that’s enough to convince Wenger and the board to part with €60m though is another matter altogether.